1”And I stood upon the sand of the sea, and saw a beast rise up out of the sea, having seven heads and ten horns, and upon his horns ten crowns, and upon his heads the name of blasphemy. For centuries what comprise the True Church of the Living God, mankind has wondered who and what would be the beast found in Revelation chapter 13. Many have hypothesized the identity of the dreadful beast that rises out of the sea. I have myself, explored possible scenarios and possible candidates apart from the popular views of evangelical Christianity, as it is shrouded in mystery, but as we draw closer to the time of the end of days of man's rule upon this earth, the details draw more and more clear. In the past, I have made references to three possible candidates, that being the pope in Rome, the 12th Imam of Islam, and the President of the USA, as we just got through with the apostate Obama and replaced him with someone, (we pray) will bring us out of the debauchery that this country is drowning in right now. But let us take a journey in exploring this chapter and make some statements that may come to pass, or may not, as only God knows the end result. We just stay focused on God's Word and keep our hearts and minds in tune with His Holy Spirit. In the first verses, noted above we see a beast rise out of the sea. This beast is similar to the dragon that was mentioned in Revelation chapter 12. They both have “seven heads and ten horns” as noted again in Revelation chapter 17. The bible identifies seven consecutive world powers, or earthly governments that Satan used to persecute God's Church, His faithful church not necessarily the ruling church of the Middle Ages. The dragon is Satan working through pagan religions, the occult and spiritualism, while the beast symbolizes Satan working in disguise, using the corrupted Christian church to do his work. In verse 5 we see that the beast continues “forty and two months” . This is the exact number of years if you convert those months into years of 1260 years that Papal Rome had dominion over the whole known world. In verse 7, it makes “war with the saints” persecuting Christ's true followers who stuggled to maintain the truth of God's Word. This beast is none other than the Papal Church system that ruled with terror for all those years. It arose as predicted amongst the populated European nations, symbolized by “the sea” and the “ten horns”. But note that Papal authority has since diminished from the time of her dominance, but she will rise again. Prophecy has an inerrant ability to repeat itself in a duality of events during these last days. Papal Rome ruled with an iron fist from 538 AD-1798 as noted in Verse 2 of this chapter. This beast has the characteristics of a leopard, a bear and a lion, the same beast powers mentioned in Daniel chp. 7 being the leopard of Greece, the bear of Medo-Persia and the lion for Babylon. This beast represents the Papacy, the same religious-political power portrayed by the little horn of Daniel 7. The dragon gave the beast “his power, and his seats, and great authority”. Pagan Rome gave all these things to Papal Rome, and a pagan “christian” institution of the time, had the means to persecute and destroy God's faithful people for hundreds of years to over a thousand years. 3 “And I saw one of his heads as it were wounded to death; and his deadly wound was healed: and all the world wondered after the beast. In 1798, the French General Berthier under the commands of Napoleon took the Pope prisoner and attempted to completely eliminate the Papacy as an institution. It seems to the world that the Papacy was “wounded to death.” However, the prophecy says that the wound “was healed.” In 1929 the Papacy regained its civil power with the creation of the Vatican State, and the wound began to heal. At some point in the near future the Roman Catholic Church system will completely recover her former glory and will have more power and prominence than ever before. “And the entire world wondered after the beast.” See also vs. 8. Note that even as I type this message, the Roman Pope Francis wields much political power, that even leaders, prime ministers, and presidents give this man great audience to influence their decisions on what we call the “New World Order” He started it in the United Nations with Sustainable Development and Agenda 2030, which will govern and control every man, woman and child on this planet to do their bidding. It will be total control and even population management that will be genocide of useless people who do not contribute in their mind to the New World Order. That is the focus of the NWO, to depopulate the earth to a “sustainable level” and if millions, or even billions die, then it for the “good of the planet”. Only recently, has our USA President had the courage to go against this nefarious scheme to the outrage of the NWO proponents. For how long will it last? It seems the world is against putting America first, but our POTUS is trying to change what was nearly destroyed by the last Dictator in Chief, who can't stand that his legacy is in peril. The liberal “lame stream media” and the liberal democrats in Washington DC are in survival mode and may resort to acts of treason and violence to preserve their dream of a One World Government. 5”And there was given unto him a mouth speaking great things and blasphemies; and power was given unto him to continue forty and two months. Note that the characteristics of this beast parallel very closely the ones in Daniel 7:20-21, 25 and 8:10-12. Have we ever seen a time in our recent history where a leader of a religious-political institution has been blantant with changing or contradicting the clear Words found in our Bibles. Pope “Francis” has been about political shenanigans and using his office to draw all religions into a One World Religion and changing even the moral and spiritual definitions of being a Christian as has never been done before in our modern era. Clearly his goal is a New World Order with the RCC at its center for power and control. Pope Francis is actively courting all religions of Protestantism, Islam, or any other “-ism” and trying to bring them “Home to the Mother Church”. 8 “And all that dwell upon the earth shall worship him, whose names are not written in the book of life of the Lamb slain from the foundation of the world. In the last days, nearly the whole world, those “whose names are not written in the book of life,” with “worship” this beast. The day is coming soon when the majority of humankind will obey a few supporting the authority of the Papacy above the commands of God, and will thus worship the beast. Only those whose names are written in the Lamb’s “Book of Life” will stay true to God. This book records the names of all the saved from every generation of Earth’s history. Revelation 20:12, 15. It will be a daily test of their faith and endurance to stay true to their calling by God's Holy Spirit. It will not be like it was in the Church Age, when those who embraced Jesus as Lord and Savior were given a deposit, a sealing of God's Holy Spirit of their future glorification. No, they must guard it daily and not be deceived, as the delusions that God will send them to cause them to be damned will be strong because of their lust of the flesh and demonic powers will have full sway over most of humanity left after the Church is “snatched” from this earth. This verse prophecy was fulfilled when the Pope was taken into captivity and received a deadly wound, as Napolean sought to destroy the Papacy. How did this happen? If you look at history and note what I just told you that in 1929, the deadly wound that was inflicted by Napolean's army in 1798 began to heal. The Roman Catholic Church has had to change her image from a wolf, to a a lamb that wouldn't hurt anyone. But I submit, she is a wolf in sheep's clothing and when the time is right, she will expose herself and reveal her true nature. THE POSSIBLE IDENTITY OF THE SECOND BEAST. Thus begins the part of the chapter that gives me the most distress, as this describes another beast coming up out of the earth. She begins as a lamb, but is transformed into speaking as a dragon. The identity of this beast, could be, and I emphasize, COULD BE, the United States of America. Are you shocked? I know I am, but let us talk about the reasons that I say that the USA COULD BE this second beast. First off, the USA came to power about 1798, just as the Papacy is going into captivity and receives her deadly wound. The USA declared her independence in July 4th, 1776, and by 1790 has ratified her Constitution, with it's Bill of Rights, and was coming up as a “youthful nation” and was quickly drawn into the political arena and today is the lone Superpower on earth. Many are challenging her, and the forces to depose her are all around, but she remains a power to be reckoned with. Second, The “sea” represents “multitudes and nations.” Revelation 17:15. The beasts that arise from the sea usually do so amid the strife of war. By contrast, this one comes “out of the earth," representing a relatively peaceful emergence in a comparatively unpopulated area. This is exactly the manner in which The United States came to power. We are called a great melting pot, that has nearly every nationality and race represented within her borders. So we abound in “multitudes and nations” that are represented in our states. Third, this beast that has “two horns like a lamb” depicts and represents a nation of youth, innocence, and gentleness, which is based on our God given principles of libery in religious and civil affairs. (“For where the Spirit of the Lord is, there is liberty”). At its beginnings, the USA had the strength to form a government based on the principles found within the Ten Commandments. Republicanism and Protestantism were the fundamental principles of the nation. These principles are the secret of its power and prosperity. It is strong because the government and the church are separate, without one controlling the other. She has put her faith in Almighty God in the past, but that is eroding with each passing day, as the nation is in upheaval, as she is being stressed from within. Fourth, it is noteworthy to note that this beast does not have any crowns. She has been a servant of the people, and has not ruled over them, but they control her. Hence our democratic principles of voting those to represent your interest. The USA has never had a king to rule over government, or a pope to rule over the religious freedoms of its citizens, which allowed freedom of worship and expression. To this point we have kept religion and the state separate, as we disdained a religious theocracy, as was found in Papal Europe. Fifth, in order to rule the world, the Papacy had to have sway over a standing army. To influence and order a national army to do it's bidding, on pain of excommunication in the past, so she must have a superpower to enforce her edicts of religious authority even today. To force anyone to worship the beast or its image, it must be a power that would enforce, on pain of death, the desires of the Papacy. Right now, Chrisitians in American prayed for a reprieve from the debauchery from the “idiot in chief” that left office in January of 2017, but how long will that reprieve holdup? The forces of darkness are rearing their heads and doing all in their power to thwart any “draining of the swamp” which is the liberal base in Washington DC. What will be their attempt to hasten the NWO they so desperately want and envision? Only God knows what lengths they will go to, to realize their “utopian” idea of man's rule on earth. I fear, in the near future, that the next adminstration will speak like a dragon and impose religious laws enforcing the worship of the first beast, Papal Rome. Protestants in America that represent part of the apostate church system will reject God’s law, and His power will be withdrawn from the churches and His protection from the nation. 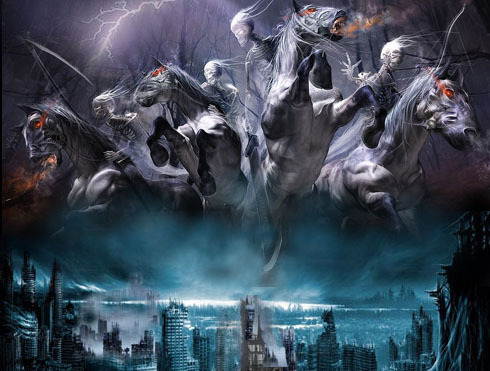 Society will become increasingly evil and violent, and at the same time the judgements of God will descend on the United States and on the world. Instead of embracing repentance and inward heart change, Protestant America will demand that the government enforce religious laws to “bring this nation back to God.” or at least the deceived idea of what “returning to God” is even about. There will be some type of religious edict that will force all who worship the “beast” of Papal Rome to take a mark of loyalty, either in their right hand or their forehead. Now the identity of the coming Anti-Christ has not been revealed. It is conjecture, even on my part to name the man, as I believe we will never know for sure, as the church, the True Church of the Living God, will not be on earth when he is revealed, but let me share something with you that many of you may or may not know that gives “hint” of who the man is. The mark of the coming Beast power and its dictator, the Anti-Christ, will require a mark as mentioned on each person's body, either in the forehead and in their right hand. It's not so much as a economic sign, as it is sure that, for without it, you can't participate in the economy, whatever form it is in that sad time called the Tribulation. But what it is more importantly, its a sign of worship, of allegiance to the supreme ruler of your lives. The man will reveal himself at the mid-point of the Tribulation, and the nation of Israel will know that the treaty they signed with him 3.5 years ago, was a pact with the devil. But of this mark, a mark of worship...God’s seal is His name, character and law written in His people’s hearts and minds and is seen in His laws which are found in your Bible. Those laws, and the sacrifice of His only Son, identifies who our God is, and who created each of us. Those who resist the mark of the beast are those who “keep the commandments of God, and the faith of Jesus.” and will not bow the knee or worship at the first church of the Anti-Christ, or the church of Satan. But what is the significance of the number 666? I believe we know that the beast, whose number this is, may symbolize the Roman Papacy, and that it’s “the number of a man.” One of the pope’s titles is said to be Vicarius Filii Dei, “Vicar of the Son of God.” In Latin, the language of Catholicism, some of the letters double as numbers, and the numerical value of Vicarius Filii Dei adds up to 666, and a great many Bible scholars believe that this is how 666 is to be interpreted. Am I saying the Pope is the Anti-Christ? He very well may be and he may not. As I said, we won't know for sure. But believe you me, the RCC will be at the table of power in the last days and she will reclaim her position of power to even a greater degree than what she had in the Middle Ages of her 1260 years of ruling over mankind. Problem for her is, it will be a small, temporary rule that will find her either destroyed by the Anti-Christ if she be only the False Prophet, or be destroyed by Jesus Christ, our Living God when He comes to set up His reign and rule for a 1000 years. 16, “And the ten horns which thou sawest upon the beast, these shall hate the whore, and shall make her desolate and naked, and shall eat her flesh, and burn her with fire. 17, For God hath put in their hearts to fulfil his will, and to agree, and give their kingdom unto the beast, until the words of God shall be fulfilled. These verses would identify the False Prophet along with its Harlot Church as being destroyed by the Anti-Christ. But what if the Pope is the AC himself? He will destroy all religions, including the Roman Catholic Church in favor of worship of himself. Remember what Paul wrote in 2nd Thessalonians? IF THE POPE is the AC, then he will destroy all religions in favor of worship of himself, as Satan desires worship, as he has entered the man. So there you have it, my reader. My hypothesis of what may happen in the last days coming very soon. I pray those found in Jesus Christ will not witness one iota of the coming carnage that will transpire on this earth when the lawless one is revealed. I am believing that the Roman Catholic Pope will either be the false prophet promoting a false religion to worship of the RCC with the USA as the state army to enforce his will. OR be the Anti-Christ himself and will destroy the Roman church in favor of worship of himself. And this man will be destroyed by Jesus Christ Himself, as His coming to rule and reign for a 1000 years by the brightness of His coming. The analogy of the coming One World Church with the RCC as receiving all worship towards her, and the USA as its enforcer, will be on the scale of when Charlemagne was enforcer of Papal Rome in the Middle Ages. It will be as it was then. To have this even take place, one other event must happen first. Understand, my reader, this could happen at any given moment. As I've mentioned in the past, I will be acutely aware and listening for a trumpet this coming fall, or the next fall, or the next, as that is the Feast of Trumpets which is the next chronological order of the Feast of God that He has fulfilled to the letter in the past...I have covered this extensively in the past, so if you missed it, then it's on my blog for the interested reader. As you should know, if you read any of my past messages, the personal pronoun in the verses directly above points to a only ONE power that has the ability to withhold evil in this world, and that is God's Holy Spirit. And since God told us He would never leave us or forsake us, when God's Holy Spirit is removed, so shall His church and all who dwell in Her....in an instant. Time is fast running out for those who receive Jesus Christ as Lord and Savior to the “ark of safety” when the Tribulation comes upon the earth. Those who miss receiving Jesus as Lord and Savior, will be thrust headlong into a time that words cannot justify the horror that will be experienced by those who miss the greatest event this side of Jesus resurrection. Some call is the “Rapture'...called harpazo in the Epistles of Paul, and identified as a snatching away, by force of those who are taken. It will happen in a flash. Woe, woe, woe to those who dwell upon the earth during that time, as they will see tribulation so great that no flesh would be saved, if Jesus did not shorten the time. It will be that that much destruction and carnage of all life on this planet. Don't make that mistake and think you have all the time in the world. Your time could run out in the next few seconds. 17, God sent not His Son to condemn the world, but that the world through Him, might be saved. And as it is written, if you desire to be with Jesus Christ, the above verses and the ones below will lead you to a prayer of repentance. This is Pastor Mike Taylor, praying you make that decision for Jesus Christ right now... if you need prayer, counseling, or just a friendly, listening ear, email me at realteam1999@sbcglobal.net, .So come Lord Jesus..God bless you all. 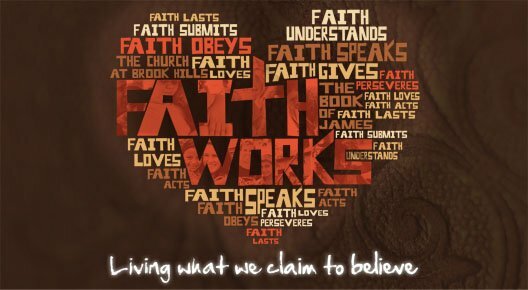 Are we saved by grace, or by works? Ask a Roman Catholic and you'll get the wrong answer. This is also pretty simple. If I am saved by grace and works, then grace isn’t grace anymore. It is grace plus works -- which nullifies both. If works count, then grace doesn’t. As a question, Hebrews 6:4-6 is a hard one -- it says that if somebody is saved and then falls away, they have lost their salvation. Doesn’t it? We tend to view our lives in the moment -- we view where we are at that moment as determining where we stand with God. To some degree, that is true, since all any of us has is this moment. THEM THAT DWELL UPON THE EARTH. According to Webster's dictionary, "tribulation" means "a state of great trouble or suffering." The Tribulation is a period of time set aside for two purposes; the judgment of a Christ-rejecting world and the national redemption of Israel. I've searched the Scriptures on this particular topic and nowhere can I find a third purpose that could involve the Church. The twenty-one judgments of Revelation are the culmination of the Edenic curse; there are environmental judgments against the earth and sea, judgments against animals and fish, and judgments against those whom the Apostle John says "dwell upon the earth." Uniquely, Revelation uses this curious phrase "dwell upon the earth". John is carefully distinguishing those that "dwell upon the earth" from those that are 'dwelling' elsewhere. The word "dwell" means 'to inhabit' in the sense of a physical home and came to Old English from the Middle Dutch word "dwellen" which means "to stun or perplex" according to the on-board dictionary that comes standard on a Mac. The phrase "they that dwell upon the earth" is used in Scripture exclusively within the framework of the Tribulation Period. I've heard every possible refutation of that verse as it pertains to the Church and the Rapture. However, one cannot explain away the fact the Lord is drawing a distinction -- those that dwell upon the earth will undergo a period of 'trial' whereas, somebody else will be kept from it. In Revelation 6:10, the martyrs slain for the Word of God ". . . cried with a loud voice, saying, How long, O Lord, holy and true, dost Thou not judge and avenge our blood on them that dwell on the earth?" Again, we have a distinction between the martyrs for Christ and those that dwell upon the earth. The phrase "them that dwell on the earth" is used to describe those responsible for shedding the blood of the martyrs. The Scripture says specifically that 'they that dwell upon the earth' during the Tribulation are those against whom the Two Witnesses prophesied, which is why they that dwell upon the earth during the Tribulation will rejoice. It also links "all that dwell upon the earth" to the antichrist and says that their names are NOT in the Book of Life. ". . .deceiveth them that dwell on the earth by the means of those miracles which he had power to do in the sight of the beast; saying to them that dwell on the earth, that they should make an image to the beast, which had the wound by a sword, and did live." Note also that while 'them that dwell upon the earth' are in need of the Gospel, there appears to be nobody around to preach it to them. That job has been assigned to an angel. I believe John is identifying the Beast in all its forms, political, religious and systematic; Political Rome was, but then collapsed, went 'underground' so to speak, transferring power to the papacy temporarily -- until the political Beast reemerges as leader of the revived Roman Empire. John identifies "they that dwell upon the earth" once again as being those whose names are not in the Book of Life and who will join the Beast 'in perdition'. Those who get saved during the Tribulation, whether through the 144,000 evangelists of Revelation 7 or the angel of Revelation 14 cannot be included among those "that dwell upon the earth" because they will be executed. ". . . cause that as many as would not worship the image of the beast should be killed. " 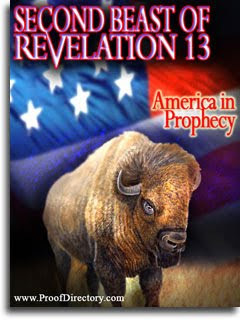 Revelation 13:15 says. That is another way of saying "all" -- although John gets more specific on that point in the next two verses. But those who are killed are NOT those that 'dwell upon the earth' -- they are the ones dwelling with John in heaven. However, if those millions suddenly vanished into thin air and Obama claimed credit for it, them 'that dwell upon the earth' would line up to get their mark as quickly as they lined up for Cash for Clunkers. If one begins from the perspective that the Church is not uniquely exempt from judgment by virtue of being saved, then it isn't really too hard to find verses in Tribulation that might be interpreted as the Church. Tribulation saints easily become born-again Christians in this view. But if one simply tries to figure out who John is referring to when he speaks of "them that dwell upon the earth" it is abundantly clear that the one thing they ALL have in common is that their names are not found in the Book of Life. And according to the Scripture, they are the only ones dwelling here. The Church is present with John from the moment that John hears a voice from heaven saying "Come up hither" in Revelation 4:1. It would be a simple matter to delve into Revelation and interpret a few verses a bit differently and build an argument for a pre-wrath or post trib Rapture -- I am anticipating getting a few in response to this column. What is not so simple, however, is coming up with verses that suggest the indwelt Church is numbered among "they that dwell upon the earth" during this period. And if the Church isn't among those dwelling upon the earth, then where is it dwelling? There is only one answer that fits both the Scriptures and the chronological and logical narrative presented by Revelation. The Tribulation is specifically set aside for "them that dwell upon the earth". "Them that dwell upon the earth" are specifically identified as the unsaved whose names are not in the Book of Life.